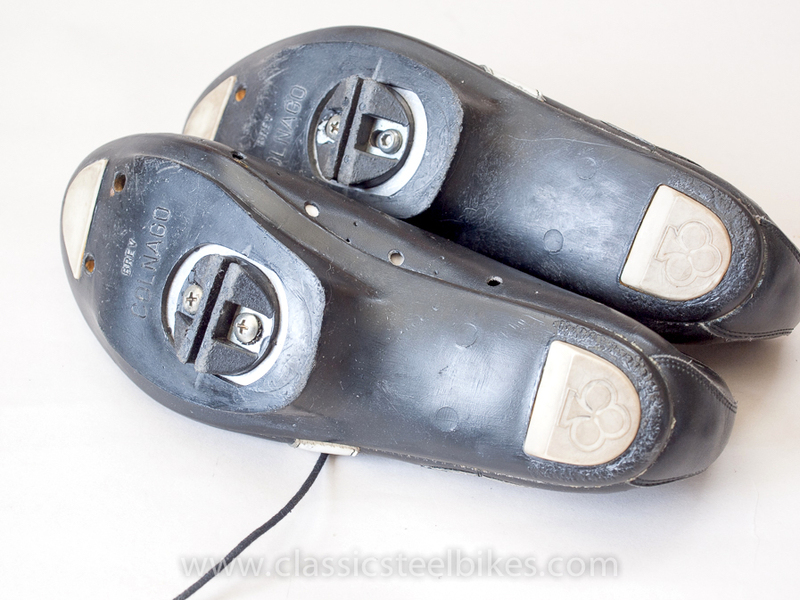 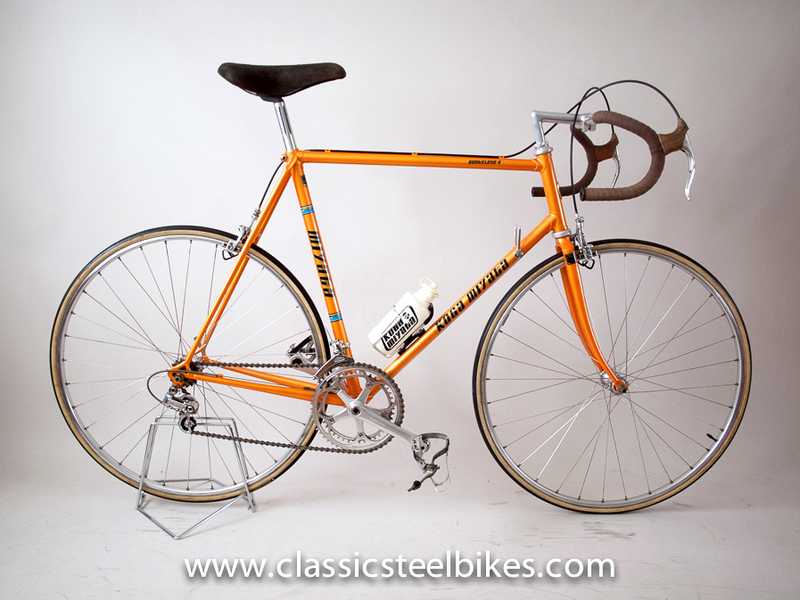 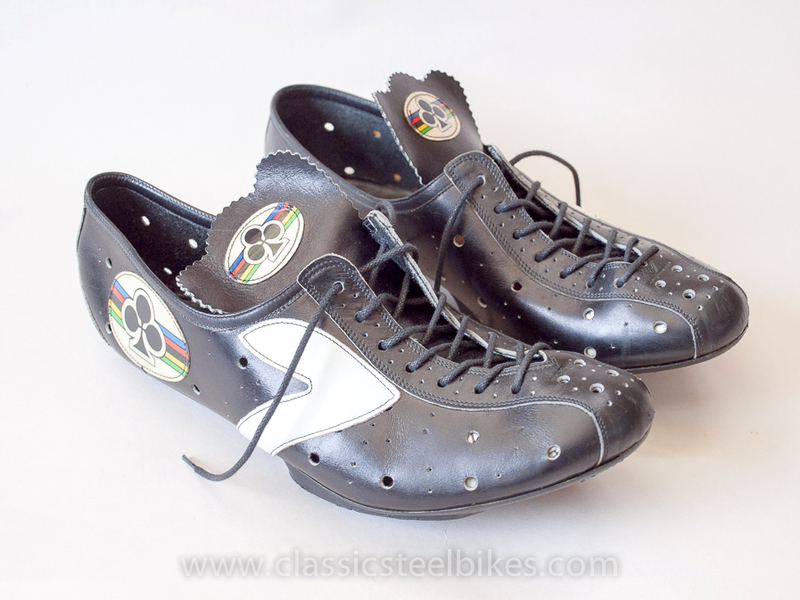 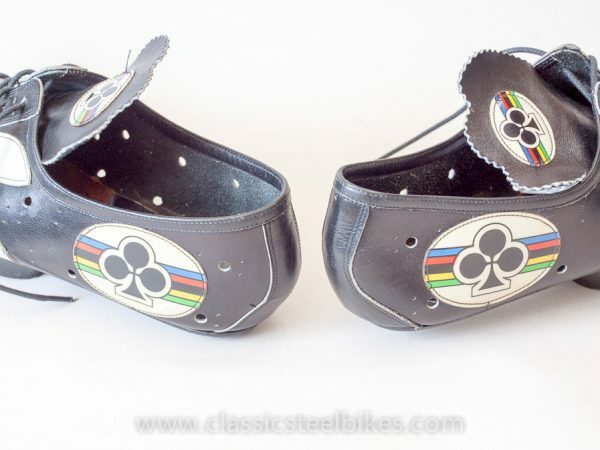 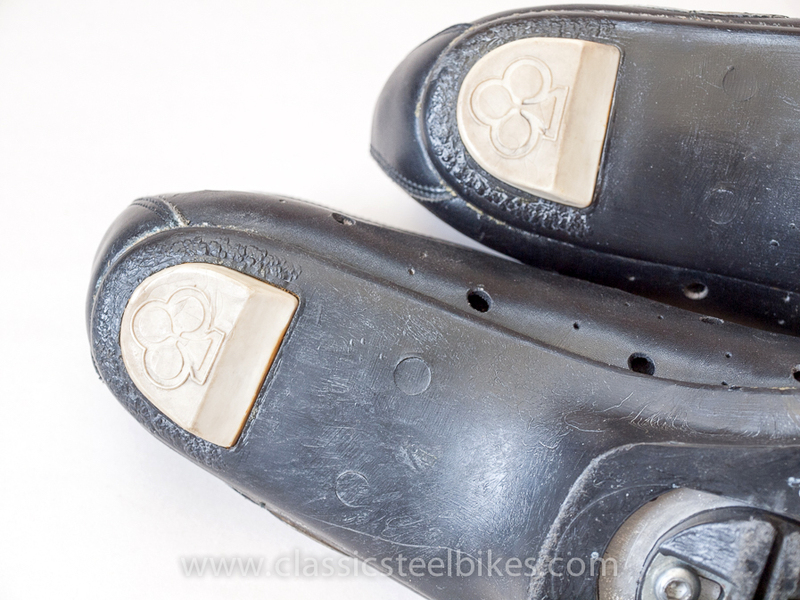 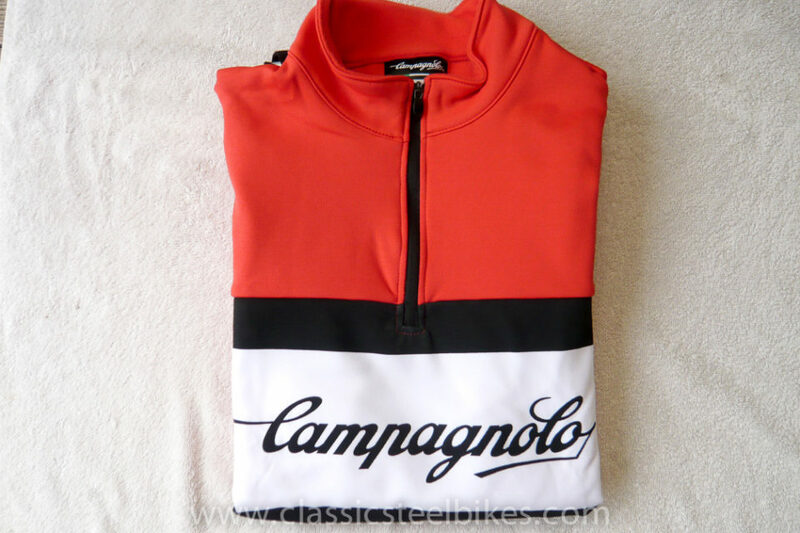 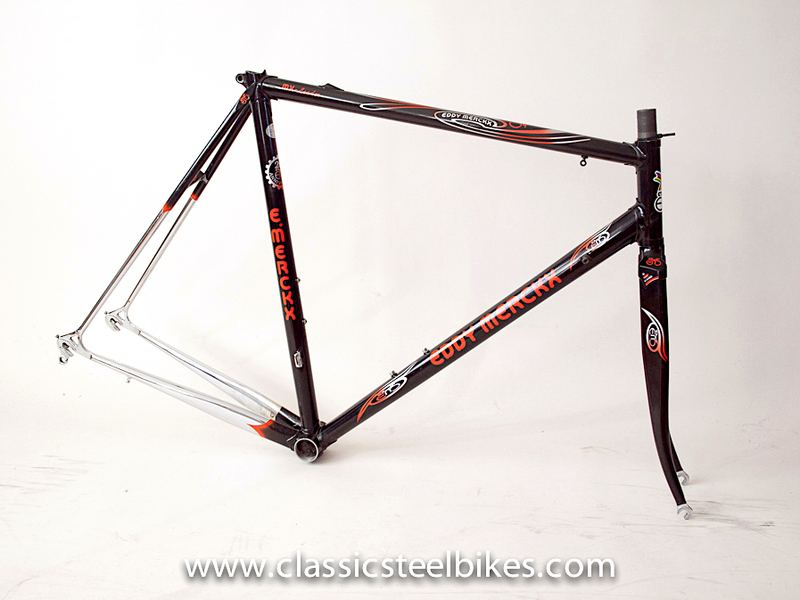 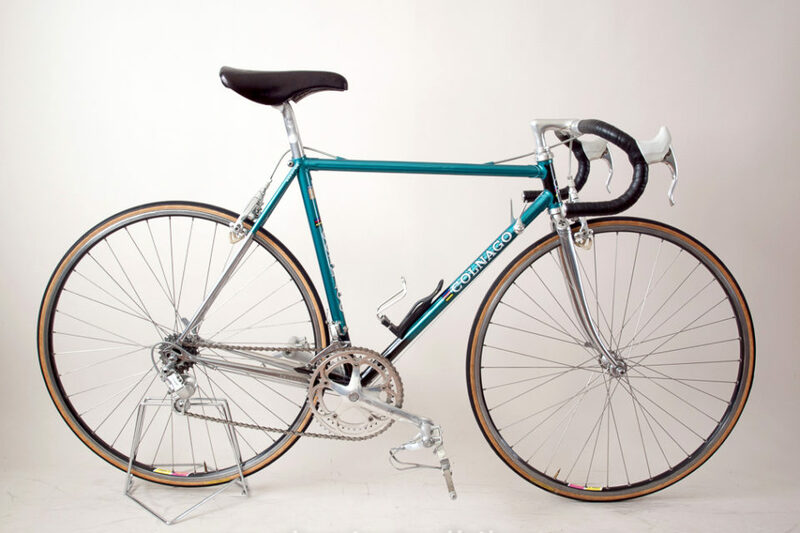 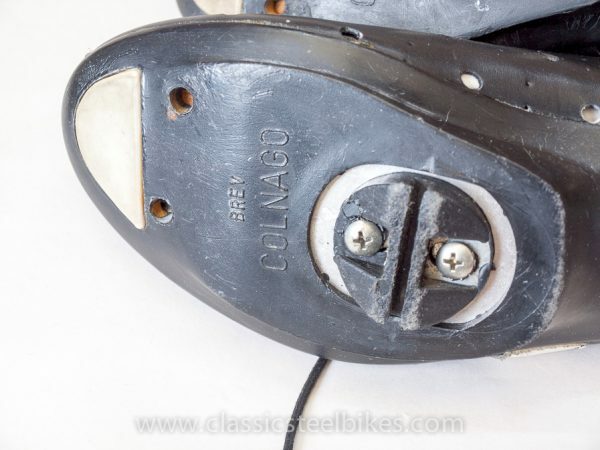 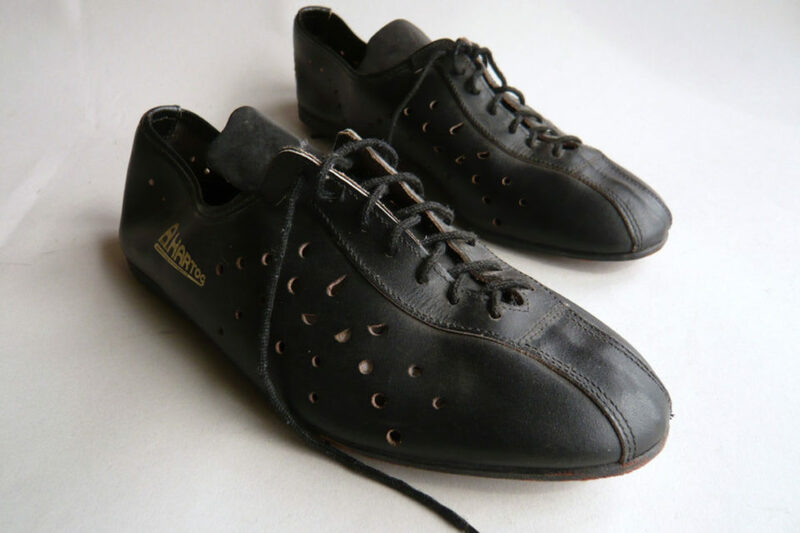 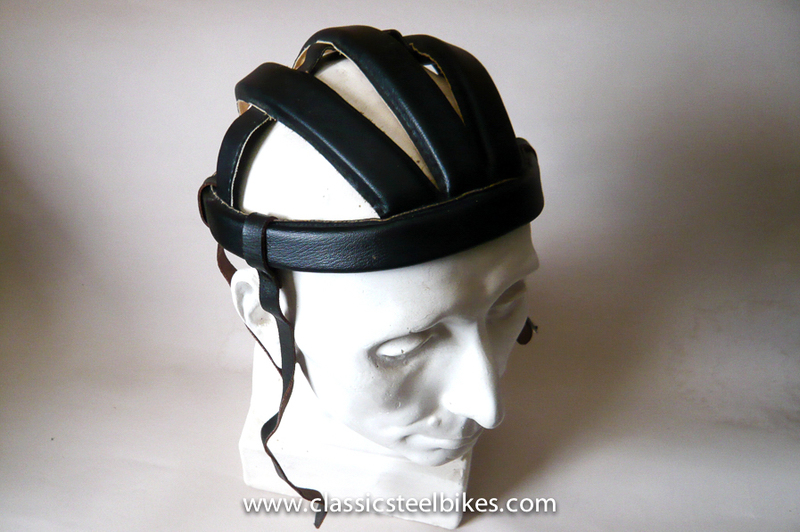 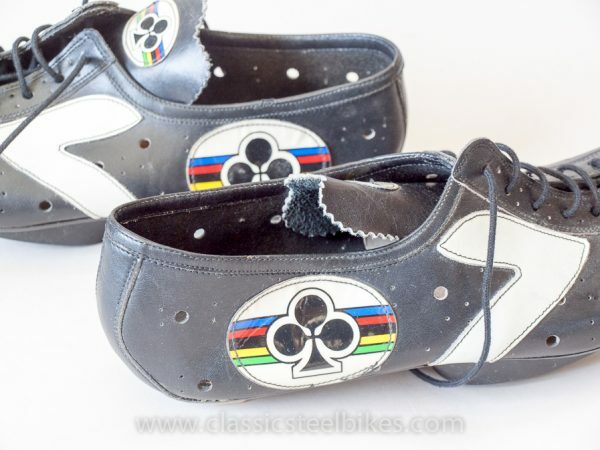 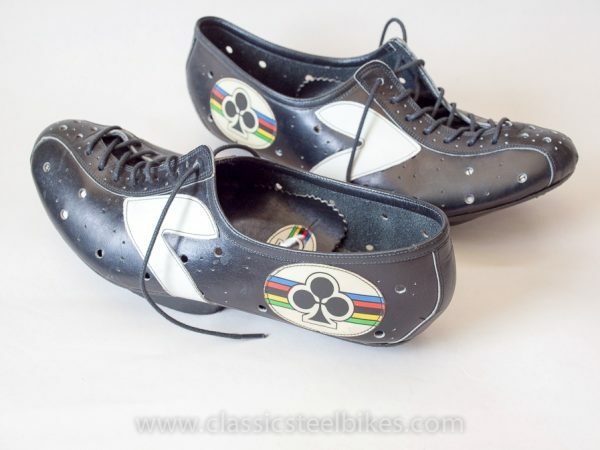 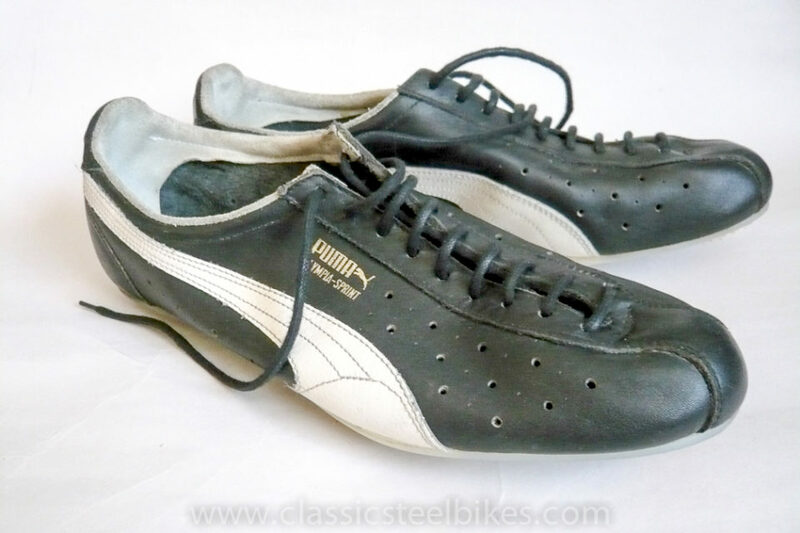 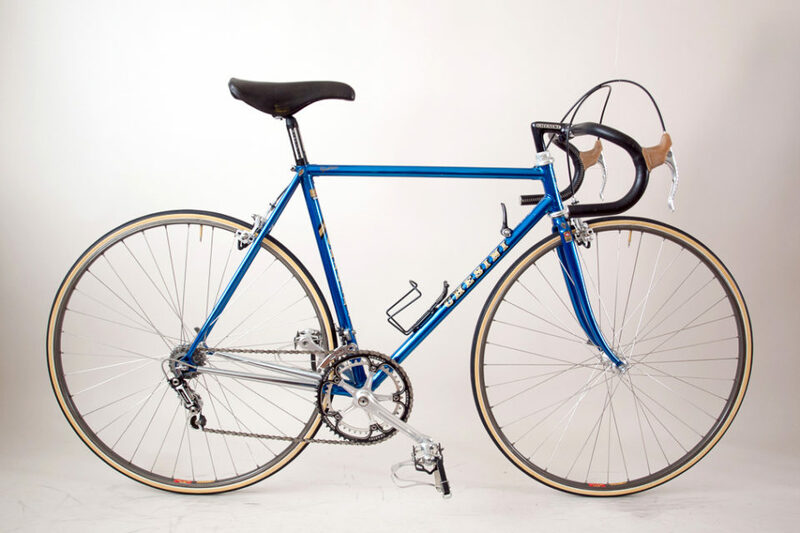 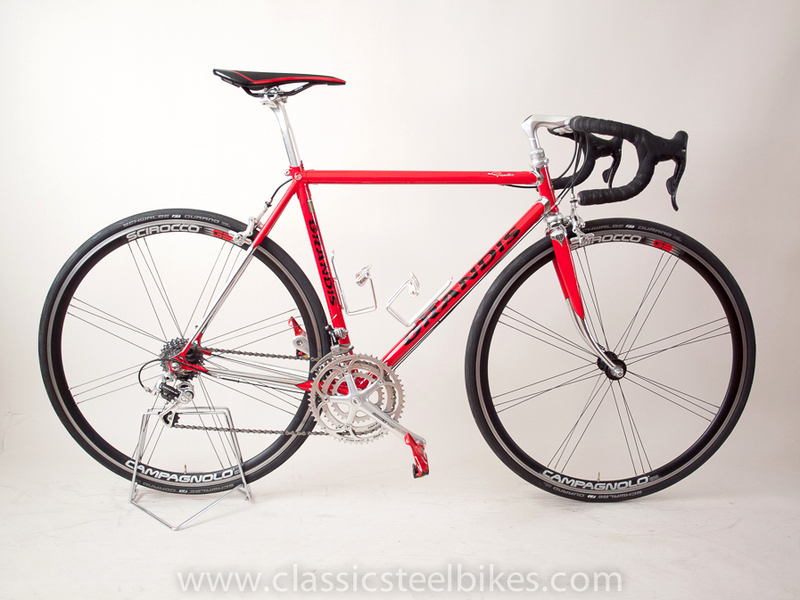 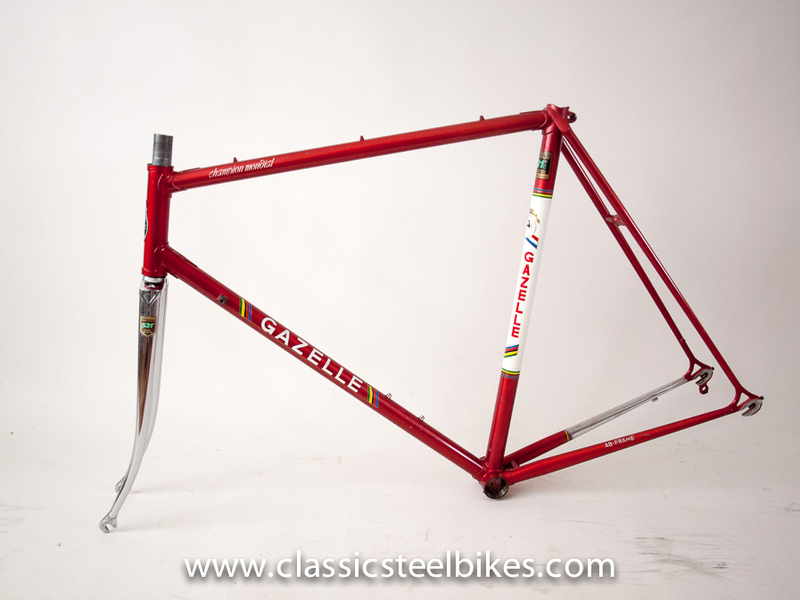 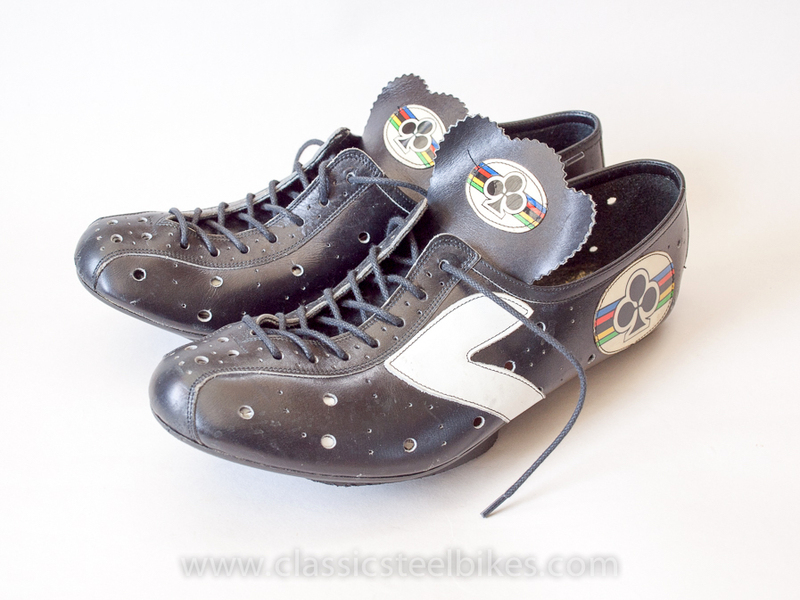 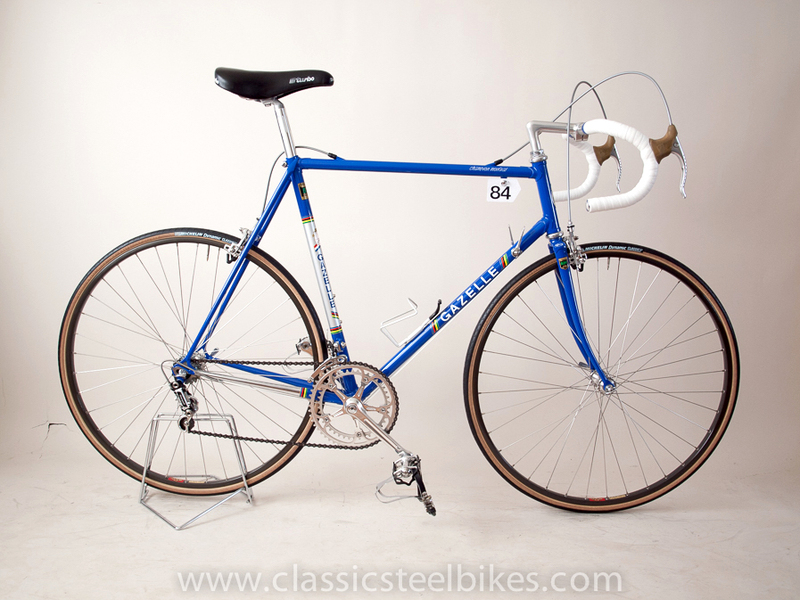 Very rare Colnago Shoes from the 1980’s. 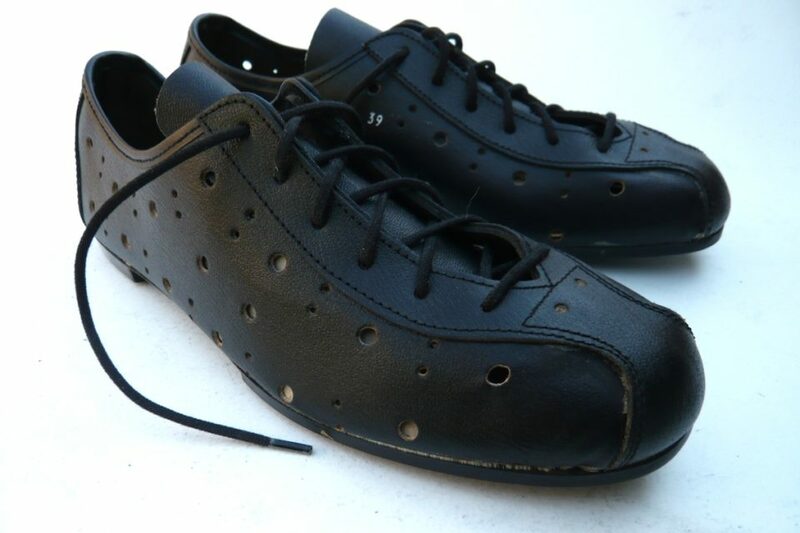 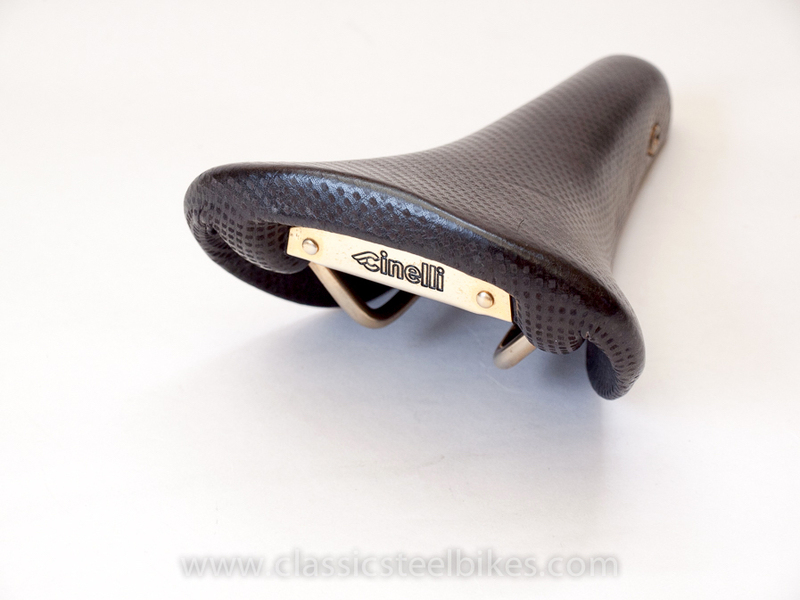 Leather with hard plastic soles. 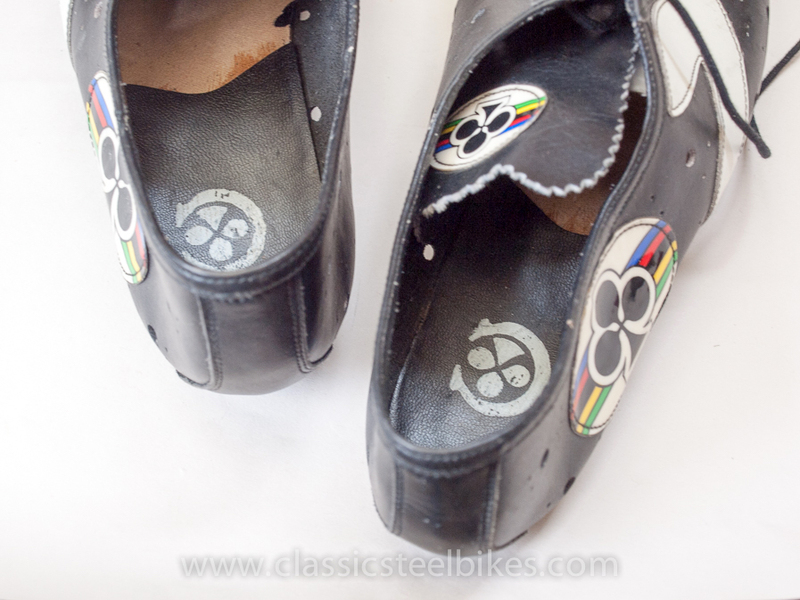 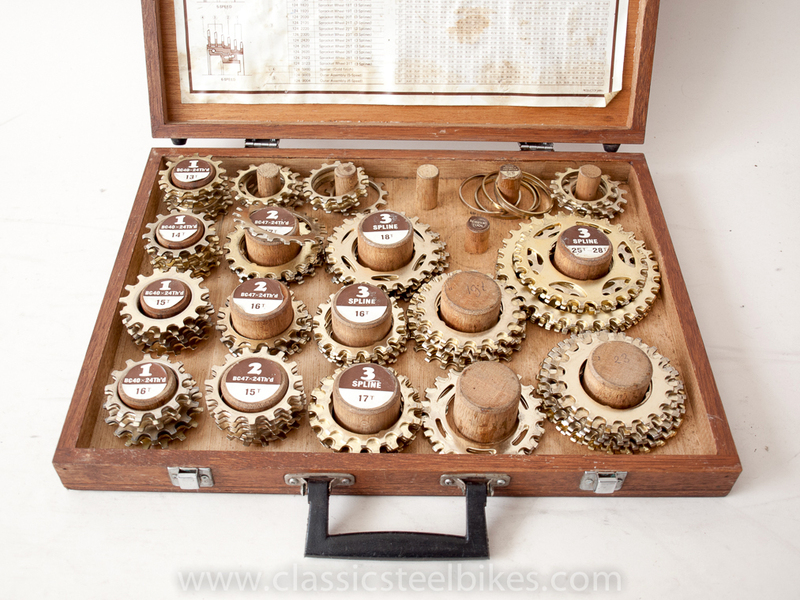 Including cleats for toeclip pedals. 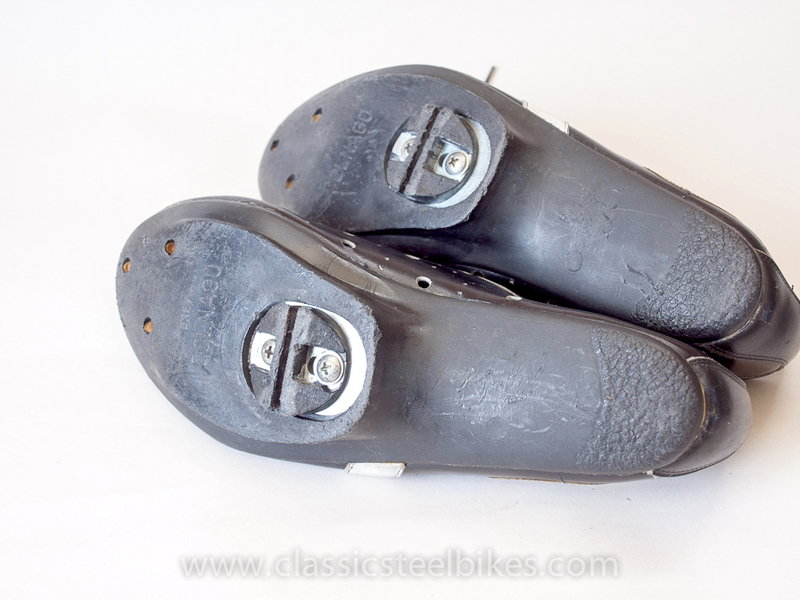 Length inner sole is 26 cm. 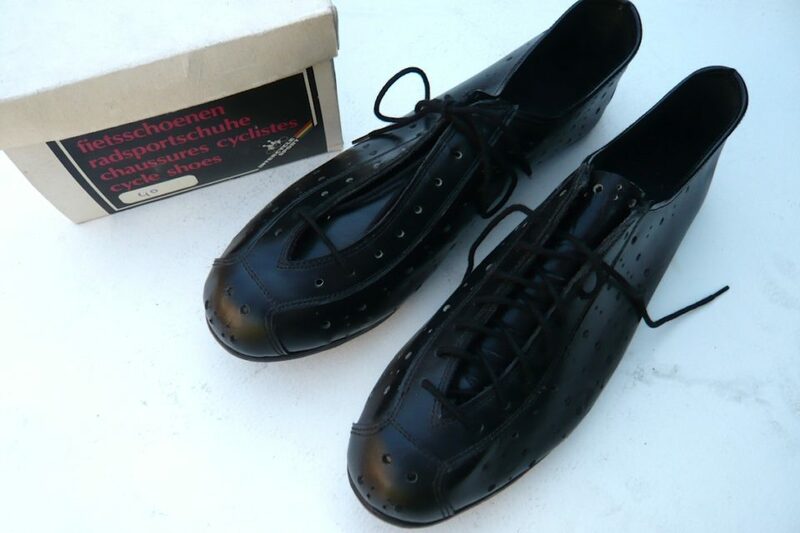 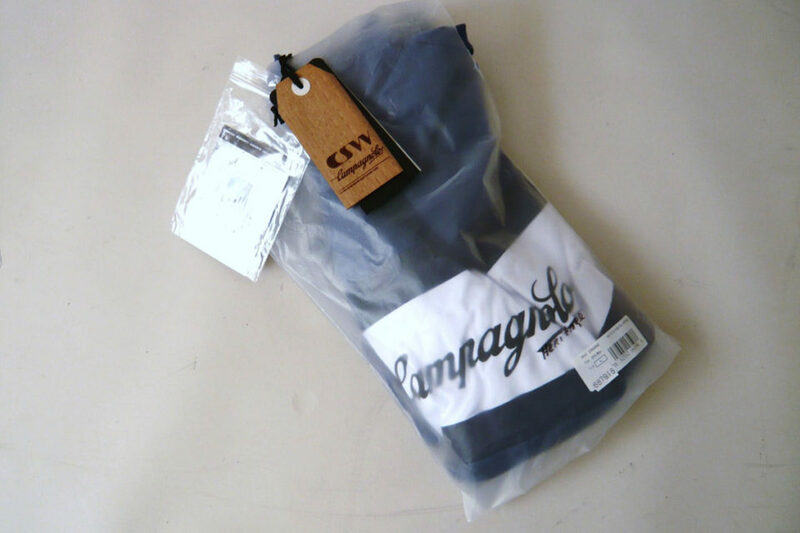 Length outer sole is 27,5 cm.